Sarkar is actor Vijay's next film, that is directed by AR Murugadoss and produced by Sun Pictures. It has Keerthy Suresh as the female lead while actors like Varalaxmi Sarathkumar, Yogi Babu, Radha Ravi and Pazha Karuppaiah play important roles. The film is slated for a release on 6th November, on the occasion of Diwali. Ahead of the release, a person named Varun had accused that the Sarkar story is a copy of his story Sengol that was registered with the Film Writers Association, way back in 2007. This controversy has taken the industry by storm, and there is a debate raging on who is the victim here. Addressing the problem of story theft generally, director Perarasu made a controversial statement at the press meet of Thoratti film. 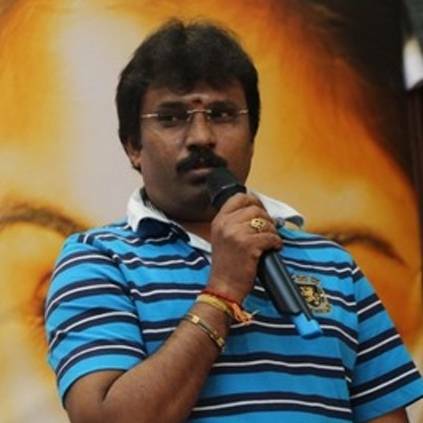 Perarasu, who has directed Vijay twice said: "Nowadays, I think producers should study law. Not only producers, even directors have to study law, because everyone is claiming stories to be theirs. We cannot afford a lawyer, so we can become one ourselves. Even the producer of Thoratti is a lawyer herself. It is great that she came forward to produce this film. There are a lot of directors seated on the dais. The ones like Seenu Ramasamy belong to a different caste, while I belong to another. They make artistic movies while, I make commercial ones. I don't think I'm eligible to praise Thoratti, but they all will praise the film, and I'll also do my best." Perarasu had directed Vijay with Sivakasi and Thiruppachi, and both the films were a hit at the box-office. People looking for online information on Murugadoss, Perarasu, Sarkar, Vijay will find this news story useful.